Books Interview: Amani Willett Blending archival and authored images, moving backwards and forwards in time, The Disappearance of Joseph Plummer not only seeks to understand a mysterious man who chose to live alone in the woods of New Hampshire, but also explores the ways we seek meaning in the lives of others — to explain our own choices and impulses, and to offer guidance in times of trouble. Photographs by Amani Willett. Overlapse, 2017. The desire to escape, run away, or disappear has deep roots in American culture. Reinvention is often at the heart of such a desire. Other times it is simply a wish to stand apart and be alone; to leave behind something or someone. It’s a radical gesture often met with a mix of fascination, admiration, and scorn. Amani Willet’s new book The Disappearance of Joseph Plummer examines the mystery surrounding one such man’s choice. 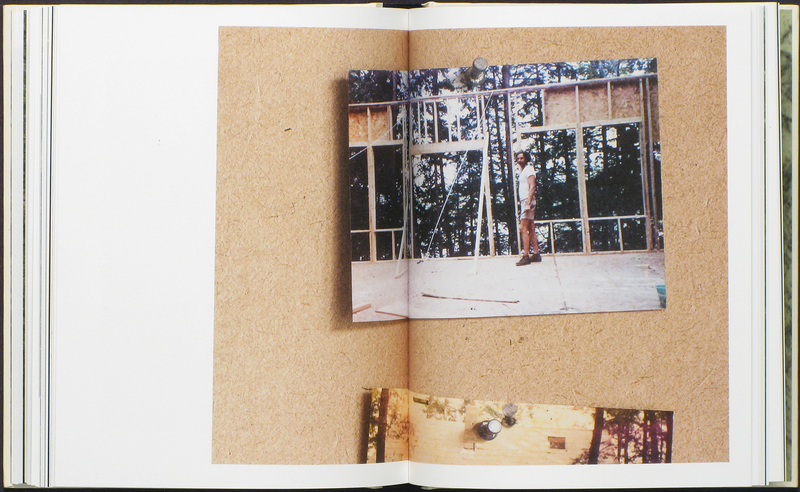 Blending archival and authored images, moving backwards and forwards in time, the work not only seeks to understand a mysterious man who chose to live alone in the woods of New Hampshire, but also explores the ways we seek meaning in the lives of others — to explain our own choices and impulses, and to offer guidance in times of trouble. The commitment to live one’s life as a hermit may seem unthinkable to most, but the impulse to find solace away from the demands of life is understandable to all. 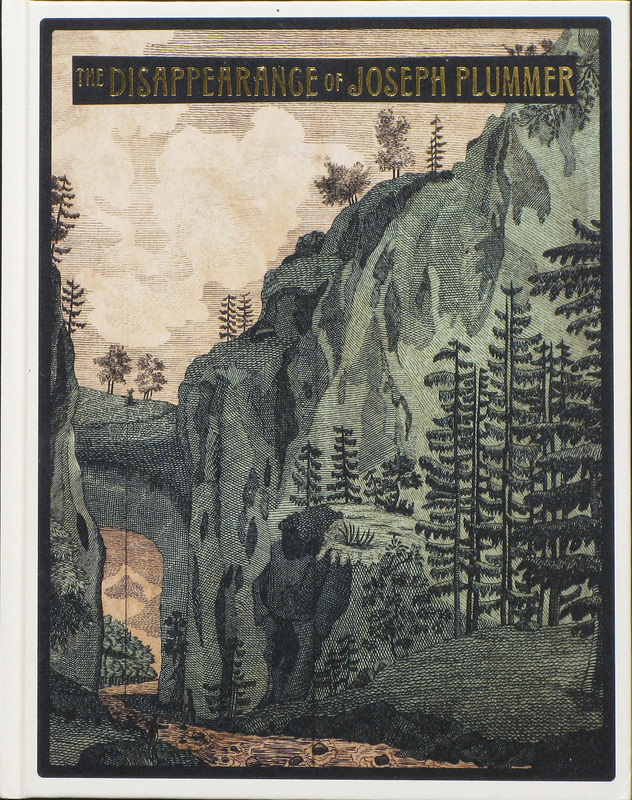 A dark and affecting book, The Disappearance of Joseph Plummer draws us into the inscrutable secrets of a centuries-old story, ultimately leaving us in the woods to find our own way out. How long we stay remains a personal choice. The Disappearance of Joseph Plummer Photographs by Amani Willett. Overlapse, 2017. Adam Bell: The Disappearance of Joseph Plummer invites us into a mystery. Not to dispel that mystery, but can you talk about who Joseph Plummer was, what we know and don’t know about him, and what led you to this project? Amani Willett: In 1979 my dad purchased land in the area where the hermit lived and he built a small cabin for himself. The land he bought is on a lake called Hermit Lake and it’s just off a road called Hermit Woods Road. Around 2010 I became curious if these names referenced a real person. After doing a little research, I learned that the names did indeed refer to a local legend named Joseph Plummer. From that moment, I was hooked and started learning as much as I could about him. I leaned heavily on the local historical society for information and also spoke with local residents about the stories they had heard throughout their lives. I discovered Joseph Plummer was born in the late 1700s in a small town in central New Hampshire. He was one of 10 or 11 children from a poor family. Around his 20th birthday, he decided to take the radical step of leaving his family and town to head to the wilderness that surrounded his small village. He spent the rest of his days alone in the woods and was completely self-sufficient. It’s said that he was very wary of any sort of modernity or progress. The sparse information that exists about him comes from first-hand accounts and newspaper articles. In the 1860s he was discovered dead in his cabin. Honestly, it’s hard to know how accurate this information is because there is so little of it and some sources offer conflicting accounts. But that’s also precisely why I find his story so compelling. Adam Bell: You open the book with a quote, which in part reads, “Joseph Plummer is remembered because he wished to be alone.” As social animals, we often find it hard to believe someone wants to be completely alone or remove themselves from society. The irony is that Plummer’s retreat and desire for isolation brought him a modicum of fame during his life. 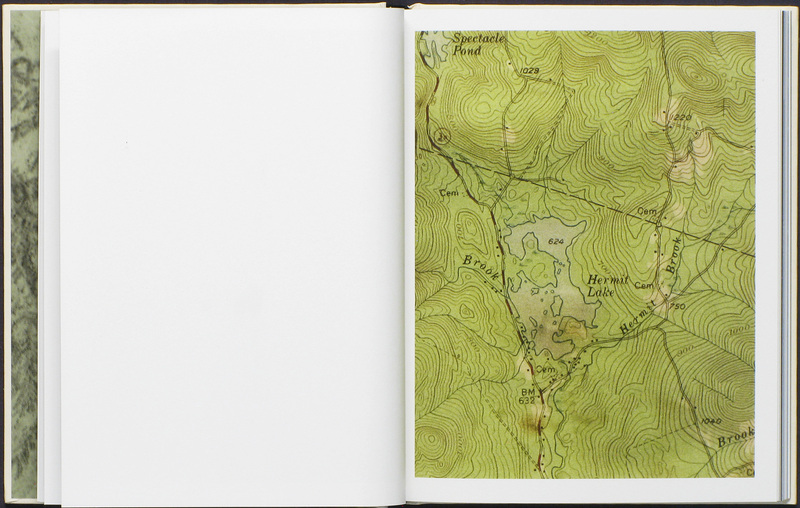 That fascination continues with your book and marks the landscape around where he lived (e.g., Hermit Lake, etc..). How do you see Plummer as fitting in a lineage and mythology of particularly American men that might include figures such as Thoreau, who is mythologized as a hermit, but was actually not one at all, but also more ominous figures like the Unabomber? Amani Willett: Growing up I was actually very wary of solitude and being alone. And I despised ideas of rugged American Individualism. I felt it was a fallacy. I believed that everyone was a product of their culture, community, and environment and to claim otherwise felt disingenuous. So I rejected the “every man/woman for himself” mentality that is pervasive in certain corners of American culture. That being said, as I've aged I've come to welcome and embrace sporadic solitude as an essential and important part of my own life experience. With The Disappearance of Joseph Plummer, I wasn’t looking to make the project a generalized commentary about men like Joseph Plummer or Thoreau who choose to leave society. Instead, its genesis was in my curiosity about a specific person who lived in a specific place that related to my father’s and my experiences with the same specific area. While working on the project and thinking more about the origin of myths and legendary figures, I’ve come to believe a mythological figure's status does not say as much about them as it does about how we as a society project our beliefs and desires onto mythologized figures. Many people who have been mythologized for their outsider status are people we know little about or are people who have chosen a life path that creates a disconnect in our minds. We individually can’t fathom the leap these figures make and our minds desperately need to create a narrative for what must have inspired their decision-making process. While researching the reasons people have tended to leave contemporary society, I was struck by the fact that in more or less every historical time period people feel they have less time, that progress brings increased stress, that society becomes more crowded and that finding time to be alone becomes increasingly difficult. However, most humans have elected to accept those changes for various reasons, including some undeniably positive tradeoffs. But, there is always a small group who decides to sever ties to mainstream life. And for the rest of us, I think that decision will always be intriguing. 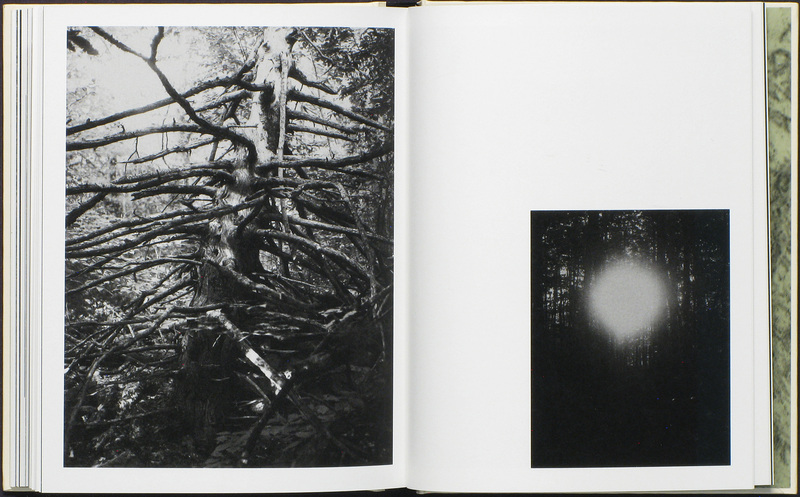 Adam Bell: The book is full of images of erasure, occlusion, and darkness — historical photographs are literally erased, defaced and burned; layered images of wilderness become impenetrable veils; and solitary figures hover in the darkness. In some cases, they point to the continued mystery of Plummer or perhaps your failure to find out, while others seem to protect his privacy or refuse to disclose what is known. Most interestingly, they seem to allow a space to step in and perhaps fulfill our own desire to run away or escape. How do you see these various strategies working? Amani Willett: In the short statement that appears at the back of the book I wrote, “ . . . his life and the landscape he inhabited exude the mystery of the unknowable.” That belief drove most of the creative decisions I made in the book. I really did try to tell the story of an essentially unknowable man. There simply wasn’t enough information about him to flesh out a narrative packed with facts and information. But that is what I found so interesting about his story and it’s what compelled me to keep coming back to the project. The narrative became about searching for his identity. I loved that idea — and played with that idea — of a man who was in many ways not fully knowable. Earlier we were discussing mythology and how a lack of information about a person can help fuel their mythological status. Because we never really see Joseph’s face (except as a boy and as an old man) it enables the viewer to experience Joseph as a mythological figure while at the same time allowing for them to create the character in their own imagination. My hope is that everyone’s sense of Joseph is a little different and is partly drawn from their own life experiences. 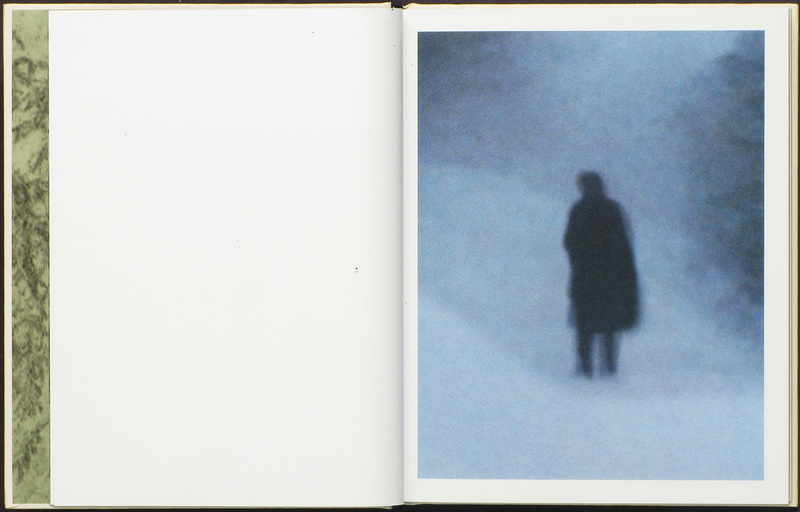 On a practical level that meant playing with images to obscure his identity. I should point out that there are not any known pictures of Joseph. All the historical images in the book are from an archive in the village where Joseph’s cabin was located. Hermit Woods is a quiet place filled with lots of dense forest — it has a real sense of mystery to it. As I made images in the forest I felt the best way to convey the quiet and sense of solitude was often by employing a dark, sparse palette. Not to get too cosmic, but after spending so much time in Hermit Woods photographing and looking for clues I couldn’t help but feel that Joseph’s presence really could be felt. The images of the ghostly figures in the shadows reference that belief. It’s funny you mention “respecting his privacy,” because as silly as it sounds I often found myself thinking about that when choosing not to show his face. Keeping his anonymity seemed the least I could do. One of the two images in the book that shows Joseph’s face is a picture of him as an old man, looking very much the way you’d expect a hermit to look. The image is not as much a picture of Joseph as it is what society expected he had become. Adam Bell: In addition to the altered archival imagery and your own authored images, the book includes a number of facsimile inserts or pages, including pages from John Greenleaf Whittier’s early-20th century book of poems, Snowbound and Other Poems, and a copy of the land title from when your father purchased a small plot of land near where Plummer lived. 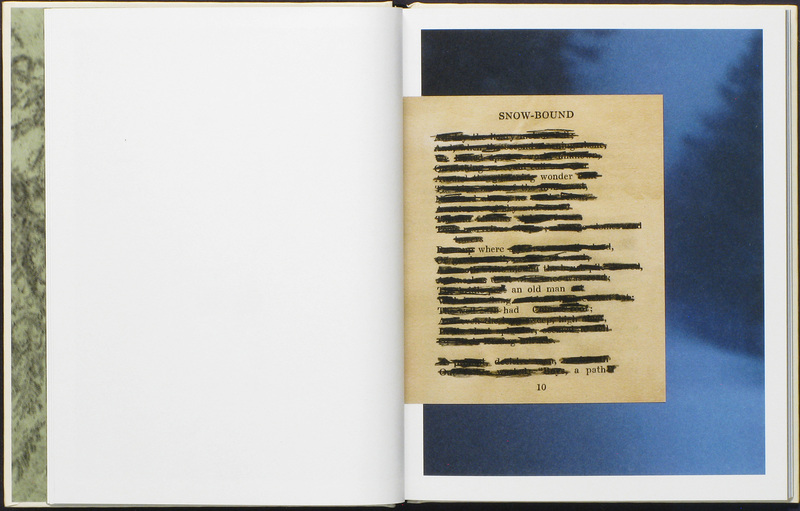 In both cases you’ve redacted the text, one for obvious reasons of privacy, but in the other to form your own poetry, which becomes a new message or clue about Plummer. Why did you include these texts and how you see them functioning in the book? Amani Willett: The poems are one more way that I’ve chosen to connect Joseph’s story to my father’s. I actually found the book of poems lying around my dad's cabin and the subject matter of the poems had a similar aesthetic to the story I was constructing. They function much in the same way the photography in the book functions. Both partly reveal and conceal information — and for me, this is the very nature of how photography functions — photographs reveal or conceal light, include or exclude information from the frame, and sequences of images change the meaning of individual images. Just like photographs are sequenced to create new meaning, I was interested in how the same concept could be applied to the poems. So much of the project is about the play between concealing and revealing information so it seemed like a natural progression. I liked that the newly created phrases seemed to reference Joseph Plummer but they could also be about my dad as they came from a book of poems that belonged to him. Adam Bell: You mention your dad’s cabin, which leads to another important part of the book. The final section jumps forward to a more contemporary moment with a young man building a cabin in the woods in the late-70s or early-80s. Is this where your family and father step in? Amani Willett: That’s right. The first two-thirds of the book mainly focus on Joseph’s story and the last section brings my father more directly into the book. There are a couple images in the first section that include my dad because I wanted to have his story intersect with the hermit’s but his inclusion at that point is subtle. The image of the young man you reference is indeed my father and, similar to the treatment of the original hermit, it’s the only image of him where you see him straight on. As the narrative progresses — and as he ages and spends more time alone in Hermit Woods — he also begins to fade into the landscape. There is a crucial moment in the book sequence — just preceding the image of the young man you mention — where Joseph’s status as the hermit is superseded by my father. It's the moment where the baton is passed, so to speak. In the sequence, there is a spread where Joseph’s world and my father’s world share the same space for the first time. 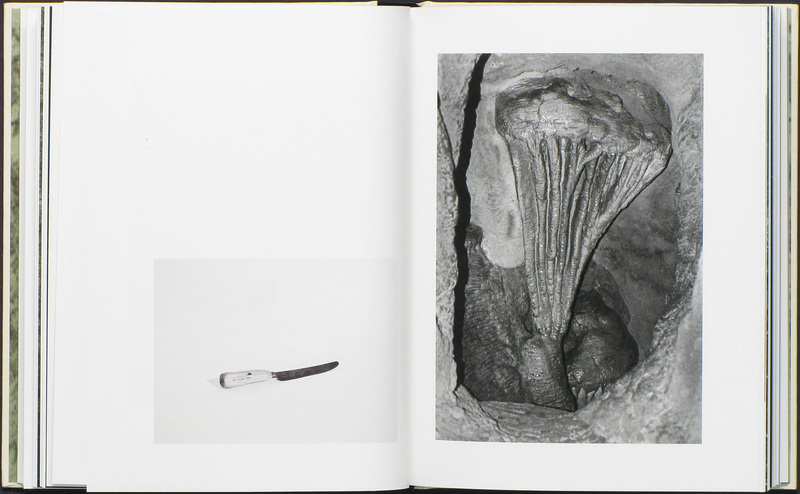 On the right-hand page is an archival image of a burning hut. On the left my father is pictured lighting a fire. The next page shows an archival portrait of the hermit’s family up in flames with only Joseph’s figure burning away. 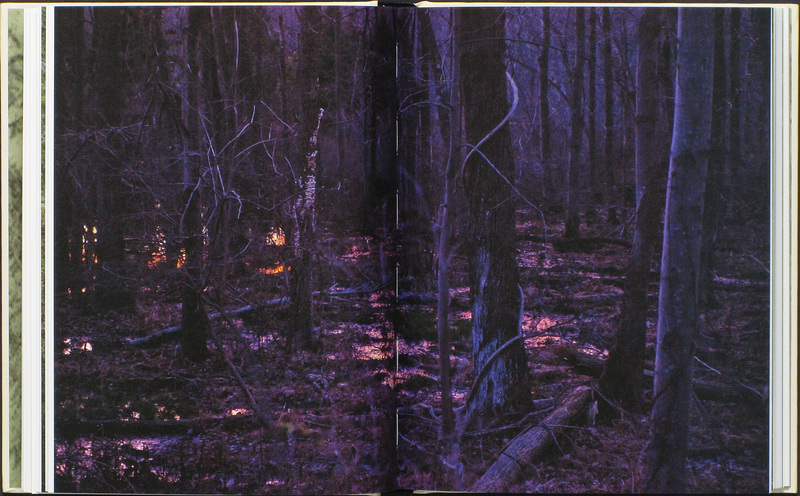 The final image in the sequence shows a bear emerging from the shadows of a pitch-black forest at night. For me, the bear becomes an allegory both for Joseph’s transformation into a spiritual force that permeates the area and a symbolic passing of the hermit identity to my father. Adam Bell: This work is markedly different from your previous book, Disquiet, yet the two are also similar in many ways. Both are deeply personal and speak about reconciling oneself to a chaotic, and often frightening world. Whereas Disquiet suggested a hesitant engagement, The Disappearance of Joseph Plummer seems to be a dark, escape hatch. How do you see the two relating, if at all? Amani Willett: You are definitely right about my personal connections to my work . . . . With all my projects, whether I’m photographing my family, Underground Railroad sites, or traces of a hermit’s life in New Hampshire, they all begin with strong personal ties. My goal is to find stories that start with the personal and project outward to create more universal connections. I’m deeply interested in stories that examine the way societal forces shape the lives of individuals. I see both these projects as illuminating the stories of characters operating within the realities of their time. Regarding the darkness of Joseph Plummer — you are definitely not the first person to mention this aspect of the work — but I found this response surprising. While I was trying to create a mysterious world with more questions than answers, my intention wasn’t necessarily to make a creepy world. I envisioned his world more in the tradition of the sublime. In fact, being deep in the woods of Joseph’s world is one of the most wonderful and peaceful places I can imagine. With Disquiet, I was just beginning to think about working with images in book form. I was excited by the substantial narrative possibilities that books present: most notably sequencing, mixing media and materials, and design. I spent a lot of time focusing on various strategies for sequencing and I incorporated images from the news and some text as well. The Disappearance of Joseph Plummer feels like a natural extension of that initial exploration, but one where I’ve been able to explore the same strategies for storytelling in a much more polished way. With this project, I’m still focusing on careful sequencing, but I’ve added historical images and more text to enhance the narrative aspects of the work. Both projects are fragmented narratives, but The Disappearance of Joseph Plummer engages that idea in a more conscious way because the idea of fragmentation is essential to the hermit’s life story. This time I’ve also invested more time and energy in the design to complement the ideas in the book.